The 4th Developer Preview for Android N is out as of 15th June. According to Google, the preview will be available as an OTA (over the air) update to developers enrolling devices in the Android OS beta page. They can avail it in the next few days. There are some factory images as well and they can install the OTA package manually, in case they are impatient to wait for the notification on their devices. The codename for this preview version is NameyMcNameface. The release of this preview marks a major milestone in the development of Android N. This is because the APIs and SDK for the OS have now been finalized. Developers of applications can download the OTA update and test their apps with the new API. This is the official API that will be available in the final released version of Android N, which will be released a few months on from now. The developer preview is available for the following phones: Nexus 6; LG Nexus 5X; HTC Nexus 9; Pixel C; General Mobile 4G; Xperia Z3 and the Huawei Nexus 6 P.
It is expected that developers of applications that are targeted at the new API, Level 24, will start heading to the PlayStore. These new applications will naturally take full advantage of the new and additional features present in the new Android N operating system. This could be in the form of support for multi window and notifications offering direct reply option. The developers can then release different types of app versions, namely an alpha, a beta or a production version, which is targeted at the new operating system. In this way, they can test the behavior of the apps on consumers’ devices that are run on the new Preview 4. Developers have been encouraged to test their application compatibility backward on the Alpha or the Beta channels. 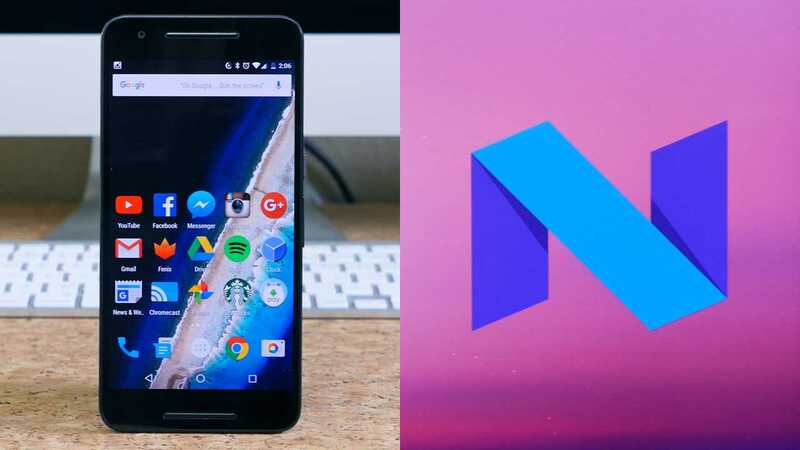 Once the apps are fully ready for the Android N OS, they can push them to the Google PlayStore. Jokes Apart – A Dubious Hint? As for the consumers, Google has made a rather silly joke on the side. It says to consumers that if they go to the About Phone and click on the section connection with the Android OS version number, they will see the N logo popping up. By long pressing on this logy they will see an N logo having NameyMcNameface written over it. It is possible this is the final name of Android N.
Google has also dropped another hint that the number for this new version will be 7.0. When enabling the demo mode, you can see the time switching to 7:00. Usually the time shown in the demo mode and also the one shown in the official screenshot for the version 5.0.1 always showed the time as 5:01 and for version 6, it showed 6:00. This means that the number 7:00 is the version number for Android N. However, Google could just be trolling us.